Successful People Do What It Takes To Be A Success Other People Do What Ever They Want ! In Texas, it was CR Goodman; in Florida, it was Fresh; in Arizona, it was Little Guy Distributing; in Washington, it was Click; and in Illinois, it was Windy City. All of these companies became, for different reasons, specialty beer distributors/importers. None of these companies represented either AB or MC. Each of these distributors sold out in one way or another. Windy City sold out to Reyes, but continues today. Fresh and Little Guy sold out to other beer distributors. Click and Goodman are still in business today, however, Goodman sold all of their statewide brands predominantly to Ben E. Keith. Click is still in business and doing well in Seattle. Recently, a startup craft distributor in Maine was offering brewers a fixed length agreement that could be nullified at any time. They were offering contracts of three to five years, stipulating that at the date of expiration, the brewer could leave without owing the operation any money. These small independent operations are popping up all over the country as more and more craft brewers come on line. A recent column in BMI by an unknown author stated that with the continued decline of the major brands and the rise of all the crafts, along with the increased costs of distribution, the distributors might be driven to look at exit strategies. If this happens, it could create and issue for crafts trying to get into the market. An AB distributor recently shared some interesting numbers that he had pulled on his draft business some 18 years ago. At that point there were fewer than 1,500 tap handles in his territory. He had 70% of them, which meant 100K kegs per year, serviced with three full-time techs. This year, the number of taps in the same territory accounts for over 5,100. He currently has 69.8% of the handles, which today translates into 100K kegs per year, serviced by nine full-time kegs. This is the result of the rapid increase in crafts. It cost him $400k to add more cold space in the warehouse, and while his gross dollars have increased per keg, his percent margin remains the same. Same volume, more handles, greater gross dollars, but huge increases in expense to service the market. These are just top line numbers, too. The question now is: Will distributors continue to add all of this overhead to build the craft segment, or will they look at other strategies? During the 70s, 80s, and 90s, wholesalers consolidated. The collapse of Schlitz, Pabst, and regionals, along with the expansion of Coors, presented opportunist wholesalers a way to add established brands, yet reduce overhead. This also helped to add dollars to each point of distribution. As more and more of these start-up distributors add brands and grow, the established distributors will use their resources to add to their own operations by doing what operations like Windy City, Fresh, Little Guy and Goodman did. Distributors will buy them out and pay top dollar for established business that these little operations developed. In earlier years, distributors would buy the business that someone else developed and bear the costs. As long as franchise laws remain and brands are restricted from moving at will, this model will continue to exist. Successful people do what it takes to be successful; other people do whatever they want. Sound strategy starts with having the right goal..
Oettinger Brauerei is the largest brewery located in Germany with sales of over six million hectoliters annually. They do this in a very unusually way, they do not advertise and they sell directly to stores (no wholesalers) which can be done in Germany. The brewery is highly automated with very few employees and their sales are mostly in packages with very little draft. While building Glazers beer business, a gentleman representing Oettinger contacted me. He offered the brand to us and asked that it be sold in all of the twelve states in which Glazers had operations. When asked what their US strategy and marketing plan would entail, their answer consistently was: “Oettinger is the largest selling beer in German!” It was obvious that the Oettinger strategy for the US was the same. No marketing or support, just cheap beer. Glazers passed on Oettinger and even today the brand is not in the US. Hofbrau Brauerei, out of Munich, and one of the original Oktoberfest beers has used an opposite strategy in developing a presence in the US. First, the brewery did a JV with a gentleman who not only was from Germany, but lived in the US, with US beer experience and background. While it took a while, a US distribution network was built. The brewery decided to franchise brew pubs, restaurants, and beer halls based on the Hofbrauhaus in Munich. Over the years these Hofbrau houses have been built in Las Vegas, Cincinnati, Chicago, New York, Pittsburgh, Miami, and Panama City. Note that the cities where these Hofbrau operations have been located are either tourist centers or have a German population. This business model is working well in building the Hofbrau brands. Stone Brewing Company, of California, just announced that it would build a brewery and restaurant in Berlin, Germany. They also announced they would export from Berlin to other cities and countries in Europe. The German beer industry is tied houses; the breweries own the retail operations. Every little town in Germany has a brewery. Every bar, restaurant, hotel, and retail outlet has the local towns’ beer, exclusively. In fact, only a very few beers are available throughout the country. Unless you are in a major city, at a major international hotel, it is next to impossible to find an imported beer. With Stone Brewing Company building in Berlin, it seems Stone has studied the US Hofbrau model and might be following a model along that line. So the question will be: Just how successful Stone will be? A sound strategy starts with having the right goal. In the late 1940s, Coors entered Texas by opening El Paso and Amarillo. Further expansion did not take place until the mid-1960s when Coors moved into the remainder of West Texas and the DFW market. The success of the two original markets, El Paso holding a 60%+ share, allowed Coors to appoint new exclusive operations. No doubt some of Coors high share came from customers buying the beer and carrying it back to their homes outside of Coors markets. A number of the new operations in these markets were composed of owners who had been distributors of other beers, but divested themselves of these brands in order to acquire Coors. This was a wise decision on their part, as all of these operations became hugely successful as exclusive Coors houses. Given that successful track record, 10 years later Coors moved to open central and south Texas and used the same strategy in appointing new wholesalers. This time though, most of the new wholesalers did not have beer backgrounds. There were politicians, baseball and football stars, astronauts, businessmen, and even some school teachers. There were a couple of beer guys, one a former Jax wholesaler in Houston, and another was the Miller wholesaler in Corpus Christi. Remember, in the mid-1970s, Schlitz was the market leader. Miller had just introduced Lite but its growth was years away. Coors never got more than a five percent share, unlike north Texas, and all of the operations sold or merged with other houses over the years. In fact, some operations sold out within two years of getting in business. In Corpus, the new Coors guy could not make it but Miller took off like a rocket. The new owner, Barry Andrews, now owns one of the largest beer houses in the US. Coors soon realized that the stand-alone Coors house in new markets could not work as in the past. Future expansion targeted other beer houses across the country. Prior to that time, exclusive houses were the industry standard. As the regional brands began to slip, Schlitz and AB kept pressure on their houses to remain exclusive. This pressure had much to do with franchise protection laws instigated by the wholesalers. As an example as a Schlitz house, you had a national brand, a strong popular beer (Old Milwaukee), the #1 malt liquor (Schlitz), and if you were lucky, had either or Heineken and Femsa. Logically, the breweries’ argument was that as a wholesaler, you had all the bases covered and did not need other brands. AB began to incentivize their houses by providing monetary payments and extended credit terms if the distributor remained exclusive. Their program was tiered based on the operation. You got the top level if you were exclusive AB; the next tier consisted of AB approved brands like Modelo. Finally, if you were in a multi brand house, you were at the bottom. This program worked well for AB. In 2008, when InBev purchased AB, one of the very first decisions made by InBev was to discontinue incenting AB houses for exclusivity. In addition, InBev also discontinued paying for truck paints. Just recently an AB wholesaler mentioned he had lost hundreds of thousands of dollars when this business model was discontinued. What would have happened if InBev had not only continued these incentives but increased them? What if MC had jumped in also to incent their wholesalers? The question might be: would AB and MC have lost all those millions of cases? 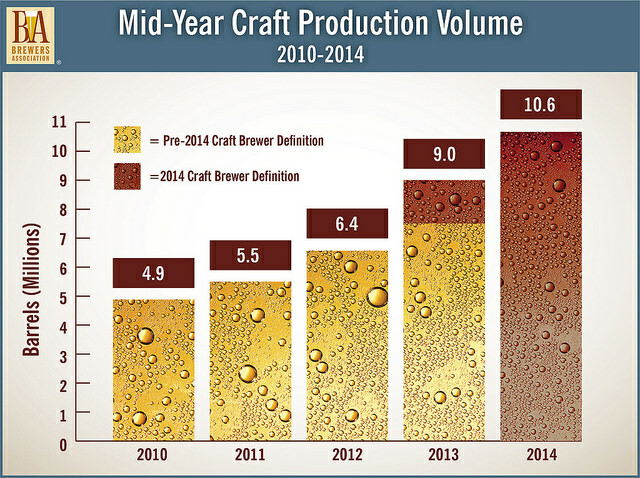 Would craft beers be growing as fast if they struggled for distributors? Obviously ending these incentives was the InBev strategy, but maybe the essence of strategy is choosing what not to do! Sometime between the summer of 1972 and 1973, during one of many trips to my friends’ favorite watering hole, we met John Ahern. The bar, The Lyon’s Pub, was located just across Central Expressway from SMU, making it a big hangout for college students. The Lyon’s Pub was also just one block off Greenville Ave., a major road in Dallas, and was near an old, small gas station. This was John’s first establishment. John, recently out of college, and like most of us, still living in the 60s, owned the station where he sold cigarettes and beer. We, like many others, often stopped there to purchase our beer. The station was close to the Meadows office building which, at the time, housed the regional offices of AB and Schlitz. Needless to say, John sold a lot of beer. Over the years, I drove up and down Greenville Ave, first on Coors trucks and later on Lone Star trucks. It was not until I had been promoted back to Dallas from West Texas in March of 1974 with Lone Star Brewing Co., that I encountered Cardinal Puffs. John had sold the station (now a parking lot) and moved around the corner to open a small off premise store named Cardinal Puffs. In 1974, the “Red Neck” rock movement, which had started in Austin, had taken hold. Originating in Austin locations like Armadillo World Headquarters and The Broken Spoke, the music leaders at that time were Willie Nelson, Waylon Jennings, Jerry Jeff Walker, Michael Murphy, and many others. As they sang in these packed houses, they drank Texas beers: Lone Star, Pearl, and Shiner in longneck bottles. The kids loved it. When I returned to Dallas, I began working with the Lone Star distributor, a wine and spirit house. At the time, sales were dismal. In March, the distributor sold only three kegs and 1,700 cases of beer. With the redneck music scene a hot ticket, and working many of these accounts, we started acquiring handles and the distributor finally was convinced to hire a draft driver and truck. Sales jumped as service improved. But we still needed off premise help. In came John and Cardinal Puffs. John agreed to promote Lone Star longnecks and put a display of 50 cases in the middle of his floor. At the time the beer was only in 24 loose cases so every Friday we had to bring him beer and we sat and six- packed every case. Space was limited so we had to move quickly before the rush hour. With Johns help, the beer took off. For weeks he would call and say “I need more Lone Star!” By the end of the year, sales were over 30K cases a month! Schlitz called, and the Lone Star days moved on, and over the years we would come back and visit with John, who now had once again moved. John had bought an old motel court around the corner and moved Puffs there. Now it was a bar with some food. Time past and he remained it Ozona. John experienced some personal issues and left for California. He returned to Dallas some years later and continued his bar business. Sixteen years ago, in 1998, John sold his business. Today, Ozona’s still serves cold beer and good food and hosts pictures of the old Cardinal Puffs hanging on the walls. John died last week. For those of us who sold beer, we have come across those people who have gone the extra step to help us. John was definitely one of those great retailers. John, we will miss you, and the beer industry will always remember The Cardinal Puff.